Write a novel, shall I? Today I was so happy. I met some fellows from university, we had break fasting together. That was interesting. 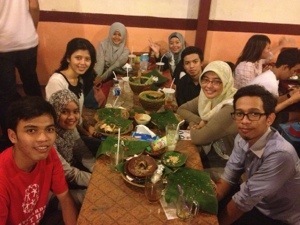 We ate lots of food and so on at Special Sambal, Depok.